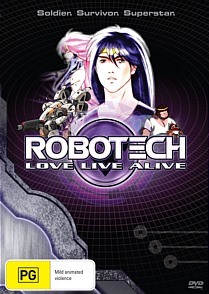 Robotech Love Live Alive DVD Review With that said, Robotech Love Live Alive is not for everyone and is actually a companion film to Robotech The Shadow Chronicles. This retro Robotech DVD entitled Robotech Love Live Alive returns fans to this exciting universe and melds the animation of yesterday with today to create an interesting flashback of key characters from the Robotech Wars. The story commences with a reporter interviewing Lt. Lance Belmon (aka Lancer) about their role in the war and how they masqueraded as the Yellow Dancer. Also joining Lancer is pilot Scott Bernard, Rook Bartley, Rand and Annie LaBelle who each share a particular part in the third Robotech Wars. 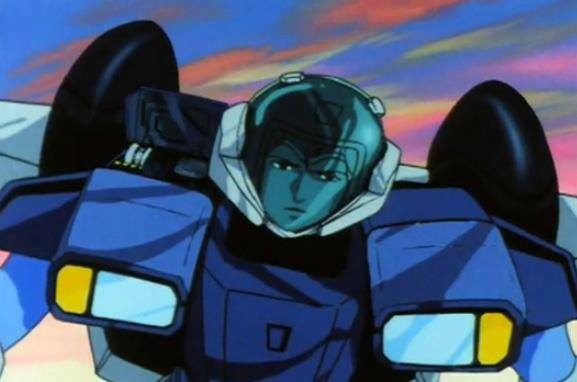 What makes Robotech Love Live Alive so interesting are these flashbacks to the characters. As love plays a key element to the story, there is even romance involved such as the relationship between Lancer an Sera who is actually an Invid, an alien. With that said, Robotech Love Live Alive is not for everyone and is actually a companion film to Robotech The Shadow Chronicles. In other countries, these were released as a dual set but for some reason the Australian distributors decided to split the films. Having seen Robotech The Shadow Chronicles, it does help put Love Live Alive in perspective but for those who have never experienced Robotech before, it will definitely be a stretch to understand the the storylines in this release. Nonetheless it is an interesting Robotech release that is a true walk down memory lane for fans of this franchise. On DVD, the video quality is presented in an aspect ratio of 4:3 and does look a tad dated as the series was filmed in 1985. Audio supports Dolby Digital with good audio levels and Robotech Love Live Alive runs for a total of 75 minutes. Definitely one for fans!